This is the tragic narrative of one night in a badger’s life during the Somerset badger cull in 2014. It was reconstructed from information provided by leading badger ecologists and a post-mortem by an independent pathologist. We call her Badger 41, because this is the reference she was given by Secret World Wildlife Rescue. The night of 14th to 15th September 2014 was warm and damp, ideal foraging conditions for a female badger living in the heart of the Somerset cull zone. She was healthy, with no signs of any disease, including TB. Somehow she had managed to survive the mayhem during the first year of badger culling although other members of her community may have been less lucky. After their deaths, previously unknown badgers travelling from far away may have arrived to fill the vacant spaces, causing stress and upheaval amongst the previously tightly knit group. As she meandered around different feeding spots, she would have remained alert for worrying sounds or smells. Had she detected something wrong, she would have bolted immediately towards the safety of her sett. Maybe she was distracted by something, a tasty earthworm or some bait such as maize or peanuts; and what should have been a normal night of contented foraging for this badger took a sudden and tragic turn. What we know is that at some point, she was shot in her abdomen. The bullet fragmented on impact and severely damaged her spleen, liver, small intestine, large intestine and abdominal muscle. She may have tried to flee back to her sett. But if she did, she didn’t make it. Instead, she collapsed a few hundred meters away and lay bleeding to death on a quiet, country lane. A campaigner against the badger cull discovered her there and took her to Secret World Wildlife Rescue, where she was found to be dead on arrival. So why did the bullet miss? Was the shooter a particularly bad shot? Was the shot taken too far away? Taken too quickly? Or was she already running when the shooter took the shot, despite Government guidelines that shots should only be taken when the badger is stationary? Perhaps she only moved a few centimetres, just enough for the shot to go wide of its mark. We shall never know. After consultation, the Government has agreed that if a badger takes 5 minutes or less to die after being free shot, it is considered a humane death. (5) Unlike wild animals, the humane death of a domestic animal in a slaughterhouse, is measured in seconds not minutes. Badger 41 illustrates how difficult it can be to hit the required heart-lung target area to kill a badger cleanly. Many experts, including marksmen, believe that the Government should never even have considered that shooting badgers in this way could possibly be humane. We don’t know how many more badgers suffered in similar or even more horrendous ways during the pilot culls. Nearly 300 badgers (9-11% of badgers shot at across both years) were never recovered after being shot at. Around 234 badger carcasses retrieved during shoots observed by Natural England monitors in 2014 also underwent a post mortem; of these, 17% had ‘no major thoracic damage’ as would be expected if the target area had been hit. Even more worryingly, the majority of reported post mortems on badgers from shoots that were not observed by monitors did not have ‘major firearm injury identified in the thorax’. Badger 41’s death is subject to an on-going police investigation so more detail is still to come. But it is clear that a badly placed shot results in considerable suffering. Badger ecologists point out that wounded badgers will retreat to their setts where they cannot be recovered and their final fate, including the extent of their suffering, will remain completely unknown. 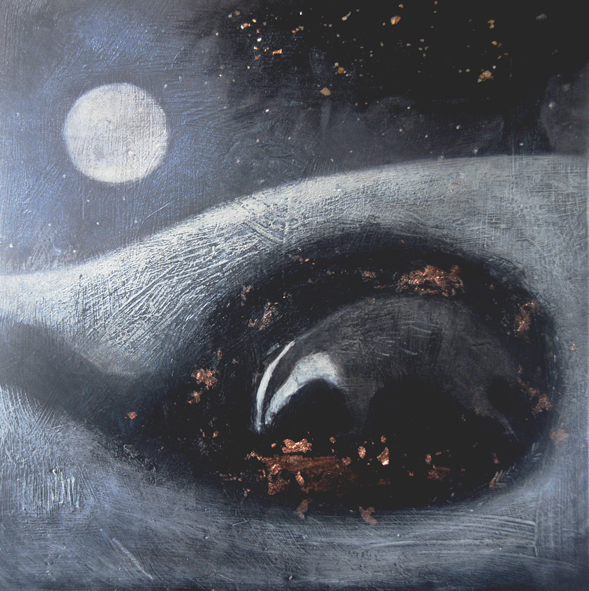 Badger 41 was a young healthy badger, and posed no risk to cattle or farmers. Yet misguided government policy condemned her to an agonising death. How many more healthy badgers will die in this way before the coalition government finally implements a truly evidence-based policy on bovine TB control? The Somerset cull was conducted from 9th September – 20th October 2014 and resulted in an estimated 341 badgers killed. A similar cull was conducted in Gloucestershire at the same time and resulted in an estimated 274 badgers killed. The Government policy to cull badgers as part of measures to combat TB in cattle is controversial for many reasons not least for the methods employed to kill the badgers. Experts warned that the attempt by contractors employed by the two cull companies in Gloucestershire and Somerset to shoot badgers at night could result in botched attempts that would cause unacceptable suffering. The Government consistently refused to appoint an Independent Expert Panel to monitor the 2014 badger cull. Instead, they appointed an independent auditor, but this is in no way a substitute for independent scientific scrutiny of the cull. (4) Although rates of TB found in badgers vary across the country, the Randomised Badger Cull Trial found that, in high TB incidence areas, prevalence of TB in badgers averaged 5% prior to culling, rising to 20% by the end of the cull. See http://www.pnas.org/content/103/40/14713.full for more details. (5) In the 2013 cull, the Government initially claimed that all badgers shot had been killed humanely and their carcasses recovered. Subsequently, campaigners learnt that a threshold of 5 minutes had been set; i.e. if a badger took longer than 5 minutes to die then it was not humane; and if more than 5% of all the badgers that are killed through free shooting take longer than 5 minutes to die, then this would raise serious concerns about the humaneness of free shooting badgers. The Independent Expert Panel found that more than 5% of badgers free shot during the 2013 cull took more than 5 minutes to die, with an estimated range of between 7 to nearly 23%. This means free shooting cannot be considered a humane method of killing badgers. However, the cull company in Somerset hasn’t commented publicly on the case and the NFU hasn’t produced any evidence to support their claim.If it wasn’t a registered cull contractor, then whoever shot her was breaking the law. Somerset Against the Badger Cull (SABC) reported the incident to Avon & Somerset Police and police inquiries are still ongoing. Campaigners against the cull have consistently warned that unlicensed and unregulated people may use the badger cull as an opportunity to kill badgers in whatever way they can.